The transformation of supply chain management is happening now. IoT is driving that change, but supply chain analytics is instrumental in taming the massive amounts of data generated by IoT sensors, devices and objects and turning it into insight -- and into a competitive edge. Smart companies recognize this. 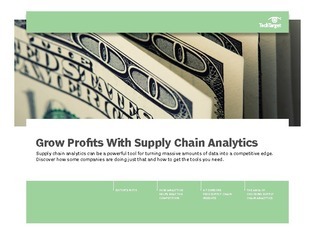 Uncover how to navigate the complex supply chain analytics product landscape.